Do you have a son or daughter that plays Valrico youth sports? Soccer, baseball, football, basketball and gymnastics can be very dangerous to your child’s teeth. Football is a violent contact sport, yet there is a relatively low rate of tooth injuries that occur in football as compared to other contact sports. Why? Football players are required to wear a mouth guard and a helmet. 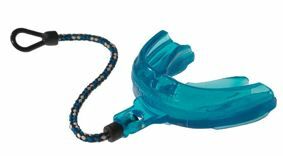 If you or your child participates in a contact sport in Valrico and does not currently wear a tooth protection device, you may want to purchase an appropriately-sized mouth guard. They are available at most Valrico athletic supply stores. At Five Star Dental Care in Valrico, we care about your child’s health and safety. To discuss your dental condition or to learn more about sports-related tooth injury prevention, call us at 813-653-2273. We have been keeping Valrico smiles healthy since 1996. Our friendly staff pampers all of our Valrico cosmetic dentistry patients. Let us show you why we are not an ordinary Valrico dental practice. Avoid a dental emergency by using a mouth guard when playing contact sports. Call us if you have any questions or would like to learn more about the cosmetic dental services we offer. This entry was posted on Friday, January 11th, 2013 at 11:35 am	and is filed under Education, General Dentistry. You can follow any responses to this entry through the RSS 2.0 feed. Both comments and pings are currently closed.